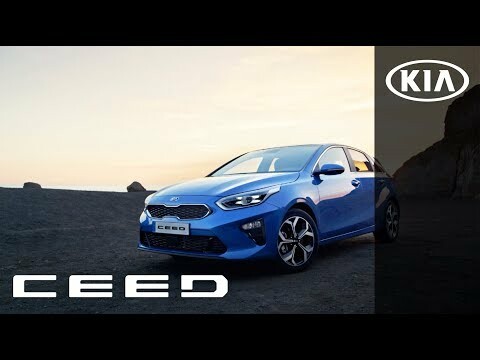 A unique blend of athleticism and sophistication come together to give the All-New Kia Ceed an instantly recognisable aesthetic that is both daringly dynamic and mature. Three engine variants are available with the Ceed including a 1.0-litre turbo petrol, 1.4-litre turbo petrol and economical 1.6-litre turbo diesel. For a brisk and responsive drive, opt for the 1.4-litre turbocharged petrol engine which comes with the option of a seven-speed automatic gearbox or manual gearbox. Alternatively, keep your running costs low with the 1.6-litre turbo diesel which is capable of an impressive 74.3mpg and 99g/km CO2 emission.Together with its sporting elegance and powerful on-road presence, this hatchback is guaranteed to leave a bold impression. Choose from a range of four models, all generously equipped with industry-leading safety technology, so you can enjoy true peace of mind. Design elements of the Kia Ceed have been carefully composed to deliver an assertive and distinctive look. With a low lying position, wide stance and sleek rear spoiler, the Ceed boasts an athletic profile that is unmistakably powerful. Its sporty appeal is further enhanced by its 17” two-tone alloy wheels, LED ‘ice-cube’ daytime running lights and sharp lines which give it striking silhouette. The front end boasts a high gloss black radiator grille alongside Kia’s signature ‘tiger nose’ grille to create a self-assured, on-road presence that demands attention. Inside, you will find premium, soft-touch material throughout; complimented with striking chrome or satin trim for a refined finish. The Ceed’s layout has been thoughtfully designed with driver ergonomics in mind including an adjustable driver seat, floating touchscreen and horizontal dashboard. There is ample room for four adults, including a 395-litre boot and 60:40 split-folding rear seats which can be adjusted to increase the storage capacity to 1,291 litres. Revel in luxury with the Ceed’s range-topping, ‘First Edition’ model which includes heated leather electric seats and steering wheel, an electric sunroof and an eight-speaker JBL sound system. Kia’s Smart Park Assist is also exclusive to this model, allowing the Ceed to automatically park in parallel or perpendicular spaces - so you can leave the stress of city parking behind! Safety is paramount across all Ceed models with Lane Keep Assist, High Beam Assist, Hill Start Assist, Driver Attention Warning and Forward Collision-Avoidance all included as standard. A leading-edge infotainment system comes in the form of a 7” or 8” touchscreen with Bluetooth connectivity, smartphone capability and USB & AUX Ports – link up your phone and enjoy your favourite music on the go! Optional enhancements on higher models include integrated SatNav , wireless mobile phone charger and keyless entry. The Kia Ceed combines cutting-edge safety technology, advanced infotainment options with an ultra-modern design to create the perfect family hatchback.